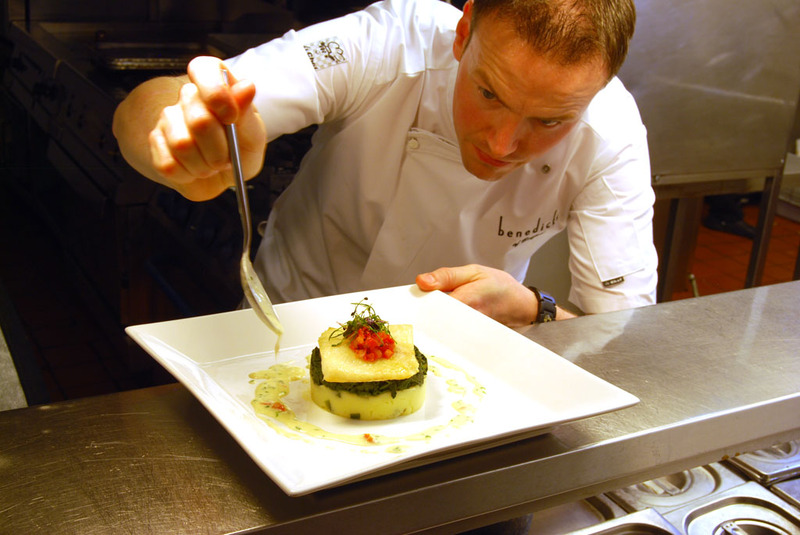 Hotel and Restaurant Photographer in London portfolio photograph 4 – Chef pictured adding the finishing touches to a dish before it is taken from the kitchen into the restaurant within the clients hotel premises. Hotel and Restaurant Photographer in London portfolio photograph 4. This entry was posted	on Thursday, October 31st, 2013 at 1:04 pm	and is filed under Front Page Category - Commercial Photography London. You can follow any responses to this entry through the RSS 2.0 feed. Both comments and pings are currently closed.